Beginning with this post, these columns will be focused on one issue and will be posted as topics emerge rather than on a strict weekly schedule. Exposure to chemicals, radiation, dust, heat and other stressors at work are a perennial concern. Recent items highlight some of the dangers in nail salons, e-waste recycling facilities and asbestos-related industries. The IAQ Video Network and Cochrane & Associates produced a brief video, Nail Salons & Chemical Exposure Concerns. The video describes how brief exposures to the chemicals found in nail and beauty products from occasional visits to a salon may not be of concern, but for hundreds of thousands of salon workers who are exposed for several hours and many days each week, attention needs to be directed toward reducing exposures. 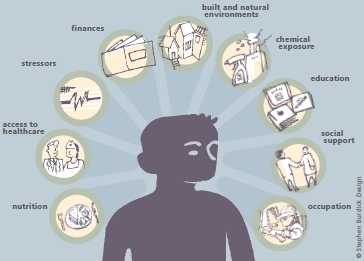 Identifying which chemicals are in products, using less hazardous products, improving ventilation and reducing chemical contact with skin can all reduce risks for workers.